What Questions Do New Language Learners Tend to Ask? Learning a foreign language provides plenty of benefits. It provides job opportunities, a better understanding of culture, and increased brain health. And if you’re new to learning a foreign language, then you probably you want answered in addition to finding a quick way to learn Italian or any other language. 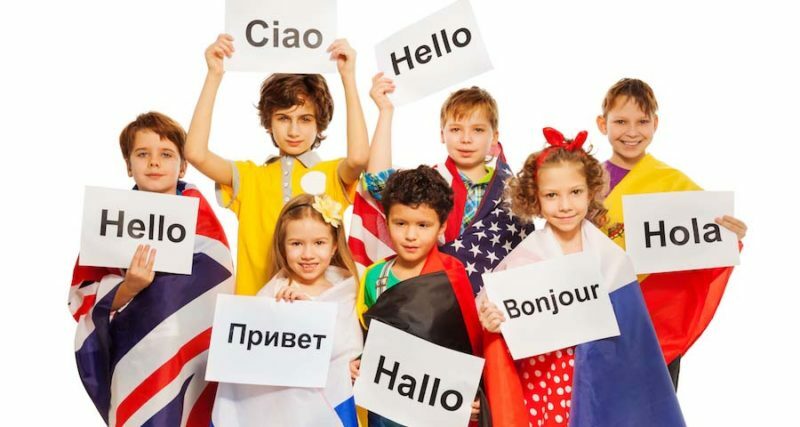 Before you choose the best foreign language learning program, you should read through the common questions people have about learning a new language. Knowing the answers to the most asked questions can help prepare you for success. Here are the answers to some of the most frequently asked questions people ask about learning a new language. What’s the Easiest/Hardest Language to Learn? The answer to this question depends on the person. If someone studies a language he or she isn’t motivated to learn, then it might take longer and be a more challenging process than that same person studying a very complex language he or she finds interesting. Generally speaking, however, the Romance languages (French, Spanish, Portuguese, Italian, and Romanian) are easier for native English speakers to learn. Dutch and a few Scandinavian languages are as well. The hardest languages are the those that differ drastically from English. Languages like Arabic with its fewer vowels and very different word system and the Asian languages with thousands of different characters tend to be the hardest. The tonal aspects of Chinese can be difficult for English speakers master as well. Before you scoop up an Italian language book, remember that finding the language interesting is more important than finding it easy. Check out this comprehensive infographic describing the difficulties of different languages for a more complete picture. The best way to stay motivated is to choose a language that interests you. Do your research. Look into the various cultures and find one that stands out to you. Ask yourself if you could, would you want to visit the native country? Do you like their food? Their art? Take the time to find out if you want to immerse yourself in the culture of your target language. Remember: learning a language is a journey. Through that journey, you’ll grow closer to that culture and appreciate it more. Does Learning Multiple Languages Make You a Different Person? While you won’t change into someone unrecognizable, learning a new language does alter your perception of reality. By the time you reach fluency, your brain will have access to more words and ways of speaking than it did previously. You’ll also begin thinking in the target language. Some people even have different personas when they talk in their target language. It depends. While it’s possible to become fluent in a few months, the ultimate answer depends on your background and motivation. If you are a native English speaker with no other language experience, it could take you longer than someone who’s bilingual with Spanish as a second language learning Italian. And if you’re after fluency in Japanese or Chinese, it will take you even longer. The key to rapid fluency is to choose the right program, have the right mindset, and remain consistent in your studies. Is It Hard to Learn a Language? Learning a language is a skill. There’s no “language gene” that makes you better at learning languages. And the reason many people who learn one language easily learn another is because they’ve trained their brain to learn language effectively. They know what methods work and how to stay motivated. They’re also motivated by previous success. If you choose a language you’re interested in and focus on enjoying the experience of learning it, then you’ll find that the process is much easier. How Can You Improve Your Language Skills? Practice. Practice. Practice. But not just general practice, focused practice builds future success. It doesn’t make sense to read more if you want to improve your speaking or write more if you want to develop your listening comprehension. Instead, read more if you want to develop your reading comprehension. Speak more if you want to improve your ability to communicate. Is It Possible to Gain Fluency Without Speaking? No. There’s a myth people believe that it’s possible to avoid the speaking component of language altogether. Language is a tool used to communicate ideas. And fluency is the ability to communicate in the target language without using your native language. The only way to do this effectively is to practice speaking. If you rely too heavily on reading and writing, you’ll soon find that you struggle with speaking. There’s more to language than a collection of vocabulary words. You have to talk to others. Grammar is important, but not in the way you’re probably thinking. You need to understand the rules of the language you’re speaking, but this doesn’t mean you need to open up a grammar book and memorize every page. Instead, continue to focus on reading, writing, listening, and speaking, and the rules will work themselves out. The more exposure you have, the more you’ll build up a familiarity with the language and weed out the errors. And for the rare grammatical situations, you can always use reference material for additional support. This is a myth. Anyone can learn how to roll their “r”s. There are several methods you can practice to help make this skill feel natural. Why Can’t I Remember My Lessons? It can be frustrating to spend an afternoon reading up on grammar and vocabulary, feel confident that you remember it, only to approach it again the next day and discover that you’ve forgotten most of what you’ve studied. The truth is that building new memories is a process. Also, memorization improves over time. The key is to be persistent and patient. It will begin to stick. If you’re still having trouble, then try memorization strategies to help you. Does Watching Movies Help With Language Learning? Yes. It is possible to learn a language watching movies. However, you want to make sure that you keep the subtitles off and choose a movie that you’re familiar with and know the plot. The reason for this is that if you pick a movie you don’t know, you’ll most likely not be able to understand what’s happening. And if you turn the subtitles on to figure it out, then you’ll be reading along in the movie. Instead, you should be focusing on listening comprehension. So pick a film you’ve seen before, and be prepared to watch it a few times. The truth is, you’re already on your way to getting started. By doing the research now, you’re taking the first steps towards fluency. Look into the various languages out there and find one you’re motivated to learn. Finally, pick the best program that reflects your learning style. Soon, you’ll be well on your way to fluency in your target language.